Pecans nestled in a sweet brown sugar filling and surrounded by a crispy crust. 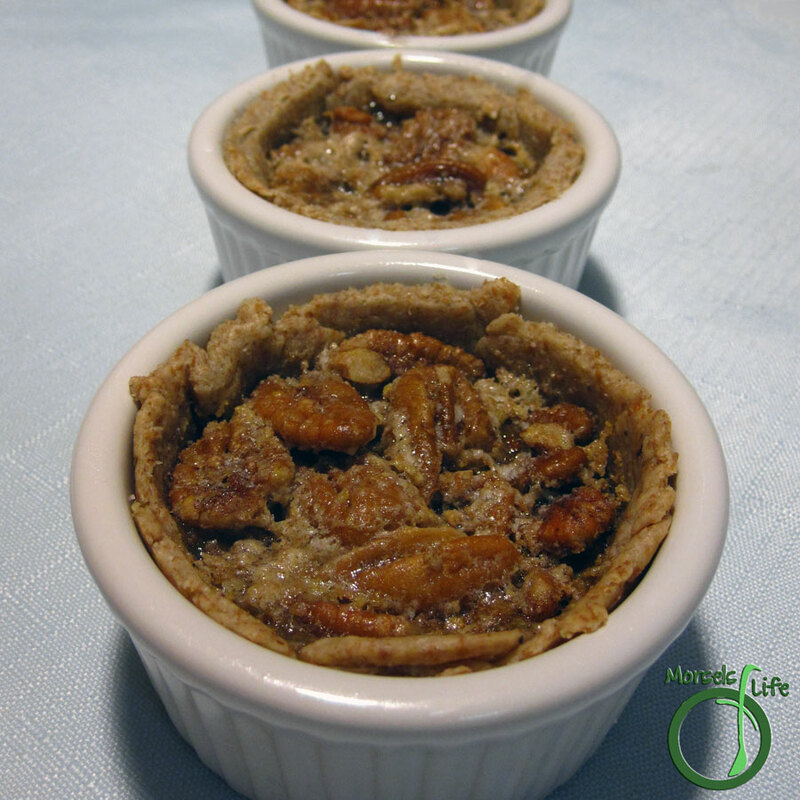 I made 4 mini pies using less than 1 cup of sugar, so this pecan pie won't be overly sweet. We found it had a good level of sweetness, but feel free to add more sweetener if you'd prefer. I'd recommend honey, molasses, syrup, or some form of liquid sweetener so you don't end up with a grainy filling. Anyway, I'm sure you're tired of hearing me ramble on and just want to get to the recipe. Well, here you go! Note: Double all materials for a standard sized pie. Mix sugars, flour, egg, milk, vanilla, and butter until sugars dissolved. Spread pecans throughout pie crusts. Bake at 350F until crust golden and filling puffy, approximately 15-20 minutes. Shared with: Wednesday Showcase, Wonderful Wednesday, What's Cookin' Wednesday, #recipeoftheweek, Happiness is Homemade, Over the Moon, Melt in Your Mouth Monday, What'd You Do This Weekend? These mini pies look super delicious, what a great recipe!!! I'm hosting a recipe link up party on my blog and would be thrilled if you decided to participate!!! Thanks! I hope you enjoy it. :) I'll stop by your link up as well. You hit the nail on the head on this one. I love pecan pie and the small portions are perfect for me! Thank you for sharing at #WonderfulWednesday! Make sure to do something nice for yourself this week! Looks wonderful and a great way to keep from overindulging! Thanks for sharing at Over the Moon.